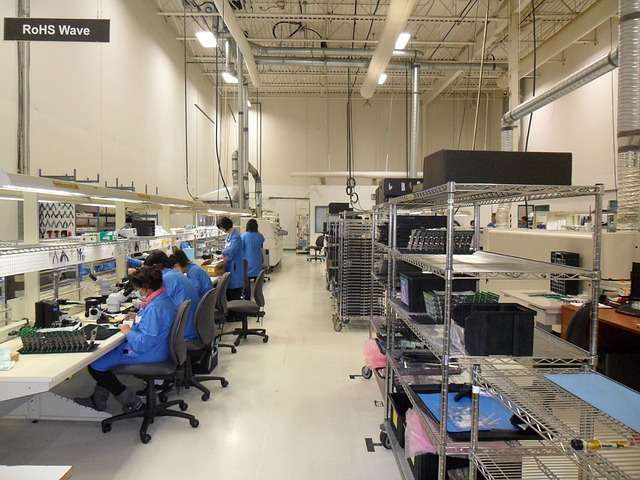 Electronics manufacturing services (EMS) is a term used for companies that design, manufacture, test, distribute, and provide return/repair services for electronic components and assemblies for original equipment manufacturers (OEMs). The concept is also referred to as electronics contract manufacturing (ECM). Many consumer electronics are built in China, due to maintenance cost, availability of materials, quality, and speed as opposed to other countries such as the United States. Cities such as Shenzhen have become important production centres for the industry, attracting many consumer electronics companies such as Apple Inc.
EMS have also started to provide design services used in conceptual product development advice and mechanical, electrical and software design assistance. Testing services perform in-circuit, functional, environmental, agency compliance, and analytical laboratory testing. Electronics manufacturing services are located throughout the world. They vary in terms of production capabilities and comply with various quality standards and regulatory requirements.